Jessica went to college to study graphic design and started designing things on the side for her friends and family. She did this for a few years, and then it spiralled out when she graduated. After a dip for about a year when she moved to a new state. Blogging, networking, and social media started getting her new clients. By October 2014, she was ready to quit her day job and start working for herself. Her dream was to work on Jess Creative, her freelancing business, full time. She started hustling on the side, by taking on more jobs, blogging, and using social media. In August, after she and her husband bought a house, Jessica sat down and took a hard look at her finances. To her surprise, she was making more freelancing than at her day job. That's when she thought that she could make this work. The week that she quit her day job, she sent emails to everyone in her network and on social media telling them that she was now freelancing full time. She had a big enough following that this outreach was extremely effective. Right away, Jessica got a bunch of responses saying, 'Great! We need X, Y, Z.' Done. Clients! Jessica doesn't depend on going to networking events. Instead, she has gotten nearly all of her clients through social media and her blog. Jessica started blogging in her second year after college, while still working at an agency. As she learned more, she wrote better articles, showed her authority by teaching people, giving insight to her business, and sharing what she was learning. 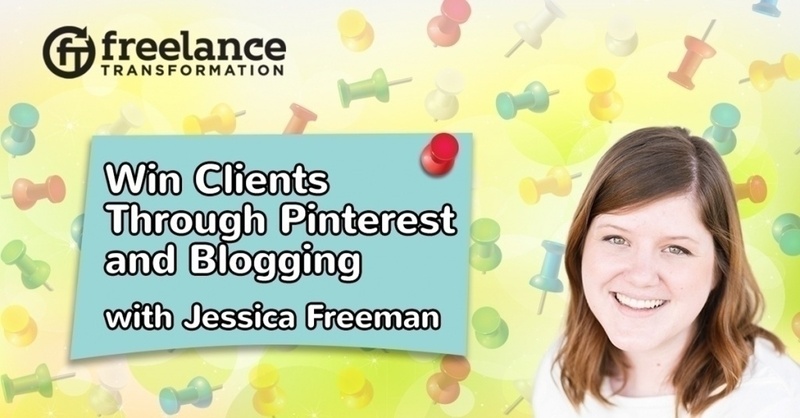 In her blog posts and videos, Jessica answers questions that her clients have or that she found on Facebook groups, and makes tutorials with insights, tips, and lessons. Then, when she sees the questions posted again on the Facebook groups, she shares a link to an article or video that she has already made. Consistency in this strategy is extremely important and determines whether you will be successful. Consistency helps build a loyal following and also provides a lot of content that she can link to and reference because the material she is creating is ever-green content. The articles and videos are still relevant. Right now, Jessica is actually posting a blog article and a video every week. But, it took at least a year to two years from the time she started blogging to getting her first client from blogging. Blogging started taking off for her when she started strategically planning her posts and when she started using Pinterest to spread her blog posts. Facebook, Twitter, Instagram, she was on all of these too, but it was Pinterest that turned her blog into a phenomenon. Even though it isn't well recognized as a tool for businesses and entrepreneurs, Jessica decided to give it a try. She started pinning her blog posts to her boards and she thought all she had to was “wait for the magic to happen.” It did not happen. Group boards are extremely valuable. If you pin to a group board, all the followers of the other members of the group board will see the pin even if they don't follow you. To optimize the Pinterest process, Jessica uses a scheduler, Tailwind, that pins to different boards for her throughout the day, even 30 times per day (which is recommended in the Pinterest world). It got her blog out there. You'll find more resources geared to freelancers instead of the big names that Google will recommend. Pinterest uses vertical graphics rather than the traditional horizontal graphics of blog pages and Facebook. Her blog posts have vertical graphics that visitors can easily pin to their Pinterest boards. Jessica has separate boards for her blog, her videos, and her podcast. There is a Pinterest chrome extension that will allow you to post any image on a webpage, including hidden images. Pin the vertical ones! It has become quite normal to have the vertical images. Make sure your graphic includes the title of your article, large enough that it can be read in the thumbnail sized images on a Pinterest board. Also, include your name, “Jesscreatives.com”, and include any freebie that you might be offering, “free worksheet” or “download our freebie”. When you pin a graphic, it is also linking back to your blog post. You have to be careful that the link is going back to the specific blog post, not the main blog feed. Each pin also has a caption. Make sure you use keywords in the caption to help you be found in searches, but do not use hashtags. The more re-pins that you get, the higher up on the feed that you get based on the Pinterest smart feed algorithm. Being on group boards really helps you get the re-pins and get exposed to more people. Good group boards have 7,000-10,000 followers. You have to request to be added to a group board. Pingroupie.com is a listing of all the group boards on Pinterest based on keywords. Also look at the boards that your favourite pinners are members of. There are instructions for joining each group board. Once accepted, these group boards show up in your profile and then you can schedule pinning to these boards. Group boards also have guidelines that pinners should follow to prevent being kicked off and being seen as a spammer. There isn't a lot of commenting in Pinterest. 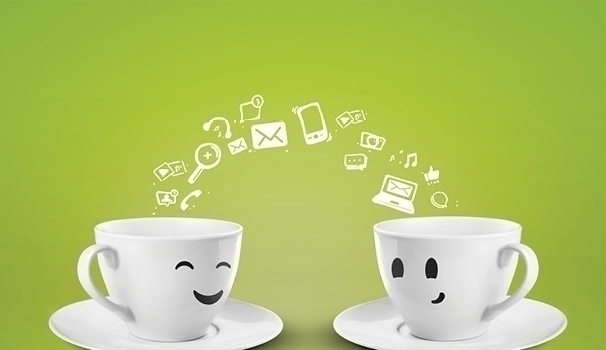 It's more about content sharing. But if you spam, you will get kicked out. Jessica was actually kicked out of a group board for pinning videos on a board that didn't explicitly allow videos. Also try to share other people's blog content to the group boards. Jessica does three of her own and three of someone else's at a time to balance it out. If you are brand new to Pinterest, make sure you build up your own boards before asking to join group boards. Fill up the boards with your own content and other people's pins. Be consistent and have a good looking profile. If you want to join a group board about freelancing, make sure your own boards are about freelancing (not just recipes or living room photos). You can also start your own group board. Jessica has her own that she moderates. She sees it as a way to get more followers and increase her authority. It doesn't take too much extra work to manage a board. Pinterest has helped Jessica grow her email list, which gets them into a sales funnel. She has also gotten inquiries about working with her by finding her on Pinterest. The content marketing strategy from blogging and Pinterest gets her more clients than referrals. Jessica also sells ebooks and the sales for these ebooks come exclusively from Pinterest even though she posts about these ebooks all over (blog, Facebook, etc.). Service and product based entrepreneurs will get a good return from Pinterest, especially if you are already producing content on a blog. You can now even buy products directly in Pinterest rather than being redirected to a different website. The people who are using Pinterest are predominantly 20-40 year olds, largely females. So if that is your target demographic, consider giving Pinterest a try.